This is a quick [tag]rebounding drill[/tag] that teaches [tag]basketball players[/tag] to rebound at the top of their jump. What you need – You can divide your team into two groups, and work either side of the backboard for this drill. Each line has one basketball they can use for this drill. How this drill works – The line starts about 5 feet away from the backboard, inside the key. The first player in line tosses the ball up to the backboard, and then follows it up, jumps up grabs the ball and tosses it back up to the backboard while at the height of his or her jump. Once done, they go to the back of the line. Following right behind them is the next player in line, who must approach the backboard, jump up, and grab the previous basketball players rebound and put the ball up again – all while staying in the air. 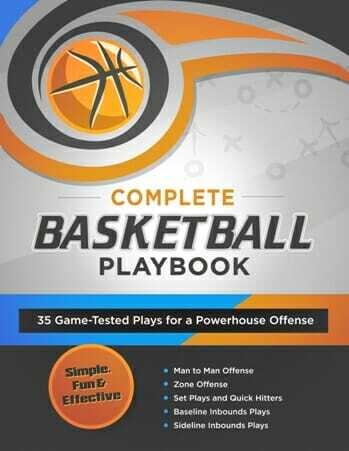 This should be a continuous drill, with the ball, nor the ball-player combination EVER touching the floor. This drill teaches good control, and to capture the rebound at the height of the jump, rather than down on the ground. 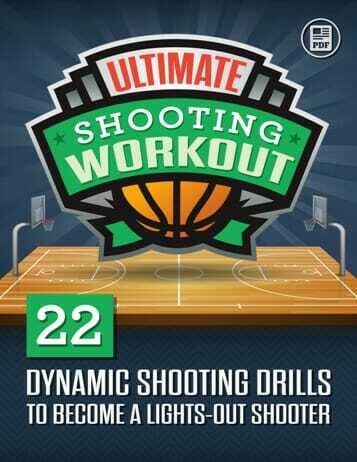 This drill should be done for 1 minute without stopping, cycling basketball players through continuously. A great warm-up drill for games. 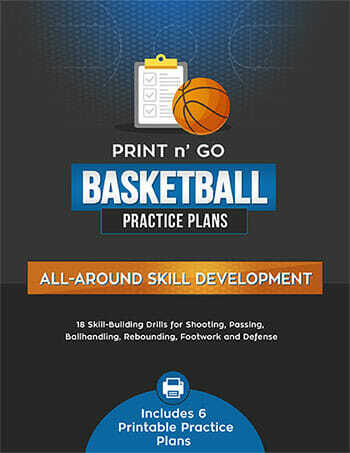 Result – Improved rebounding skills, and getting the ball up high in their jump.